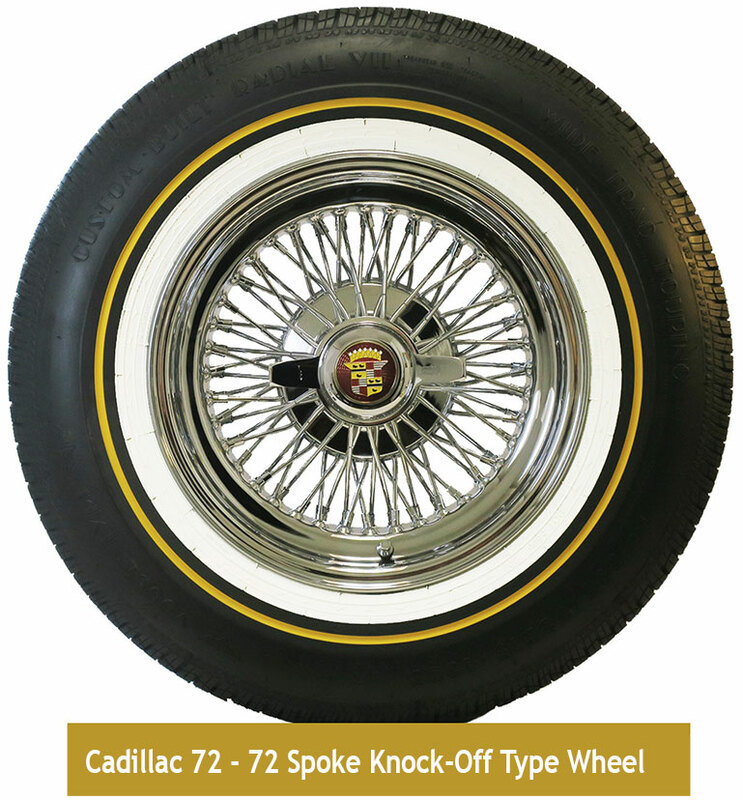 Home > Wheel and Tire Packages > Cadillac > Cadillac Wire Wheel and Whitewall Tire Package - Truespoke All-Chrome Type. 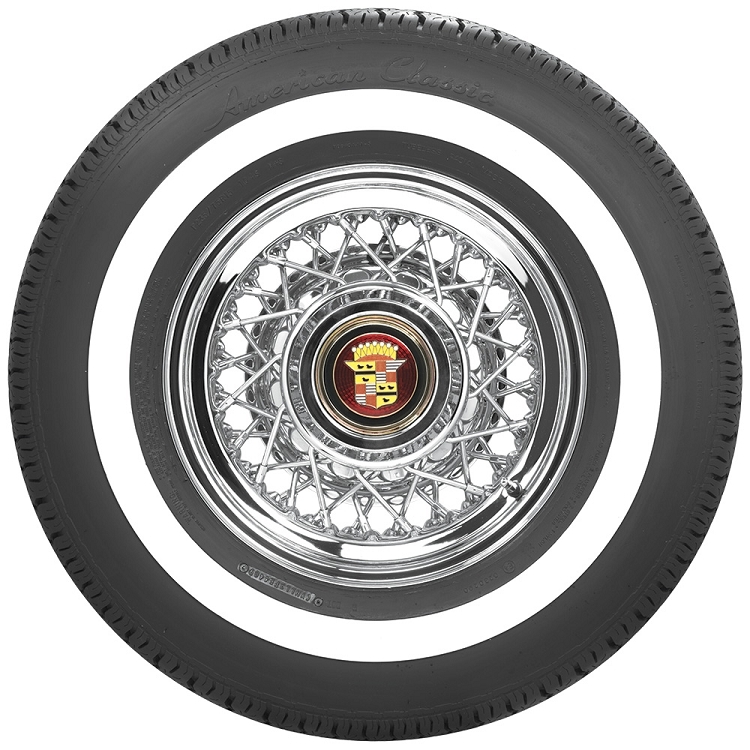 Price shown is per wheel and tire. Sizes: 15 X 6 or 15 X 7 inches. 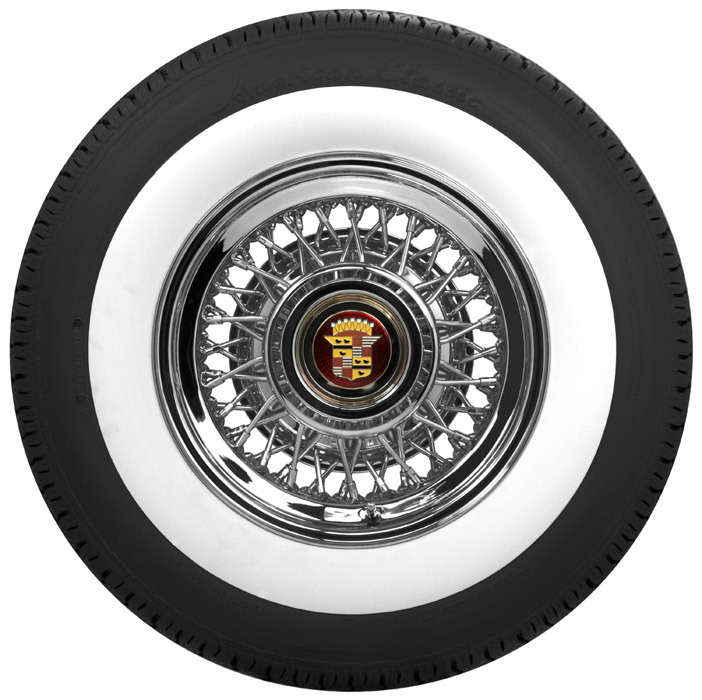 Cadillacs with fender skirts generally fit best with 15 X 7 inch wheels. This also holds true for later model Cadillacs. We can assist you in making the correct selection. 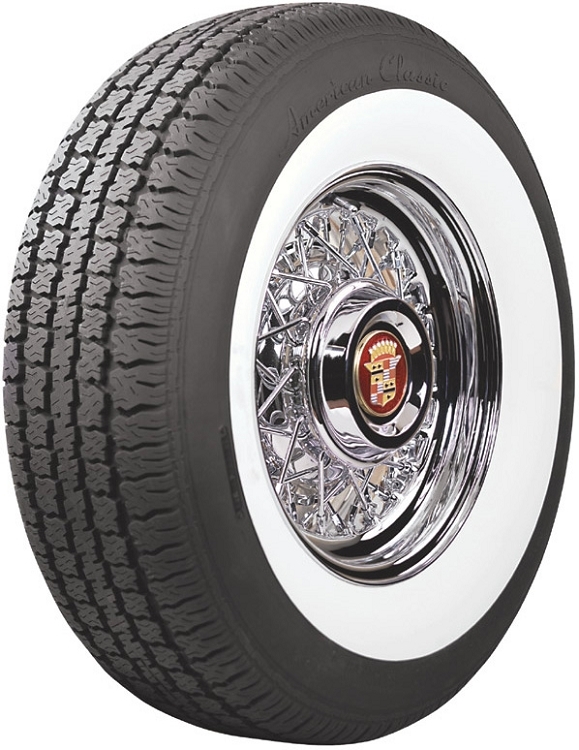 Price shown is for one wheel, tire, hubcap, inner-tube and precision mounting and balancing.